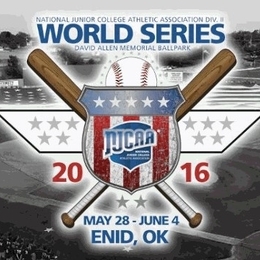 Dayton, OH –Sinclair is headed to the National Junior College Athletic Association (NJCAA) Division II Baseball World Series for the first time in school history. After winning the Sub-Regional at Vincennes University in early May, the Pride entered the NJCAA Region XII tournament as the #8 seed. On Saturday May 21, the Pride stood ready to take the next step as they only had to win one of the next two games to advance. Even though Sinclair had made it to the last day before, winning that final game escaped the Pride every time. Saturday felt different, it was time. It didn’t take long as Tyler Cowles (SO/RF – Grove City H.S.) sent a message to his teammate and the Kellogg pitching staff with a 1st inning one out blast over the left field wall. That message was well received by his teammates as the Pride scored at least a run in 6 of the 9 innings for a total of 13. Nick Cecil (FR/LHP – Lebanon H.S.) gave the Pride a good two innings to start the game this deep into the tournament. Reed Norris (FR/RHP – St. Francis DeSales H.S.) followed Cecil and shut down Kellogg for three more innings. Sinclair scored a single run in the top of the 6th to go up 10-4, Coach Dintaman handed the ball to game one starter Alex Anders (SO/LHP – Beavercreek H.S.). The plan was to get to the 9th and hand it over to the Sinclair all-time save leader Travis Rowland (SO/RHP – Fairfield H.S.) to close the deal. Anders had a different plan—he was locked in and not about to give up the ball. Kellogg had no answer for Anders and for the remaining four innings, the normal starter was getting stronger with every pitch. It came down to the final out, and it almost seemed unfair for the Kellogg batter. Face a guy that had been throwing darts for the last 3 and 2/3 innings or face the all-time saves leader ready in the bullpen, some choice. The Sinclair faithful made its way up the Battle Creek complex and was ready for this final pitch. You could feel the energy and the anticipation from the players, coaches, parents and fans. Up 13-5 and with one final strike, the Pride would be off the World Series for the first time. Anders delivered final pitch, strike three and it was over! A complete sweep of both tournaments, an undefeated run. Earning all-tournament team for Sinclair: Alex Anders, Tyler Cowles and Ben Myers (SO/OF – Grove City H.S.). The Region XII tournament MVP with 3 saves, Travis Rowland. Coach Dintaman was named the Region XII Coach of the Year.